This newly extended hole is the first Par 5 on the course. 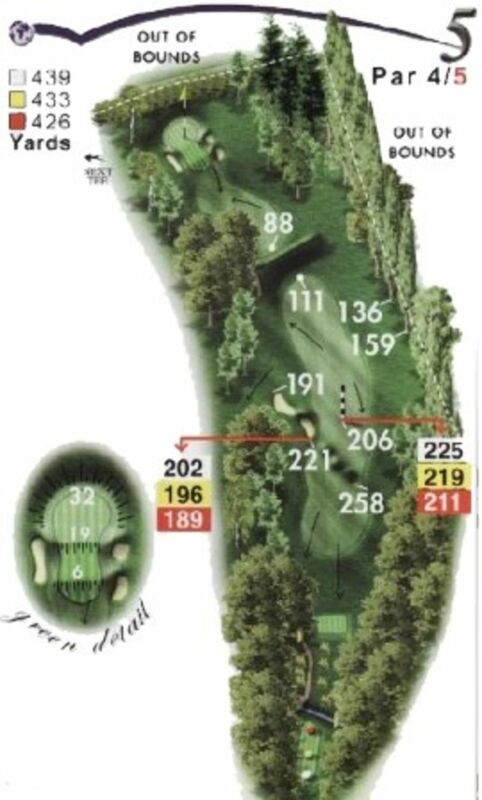 Your tee shot should be aimed directly at the marker post. If laying up short of the water hazard / grass ditch for your second shot favour the right side to give yourself the best angle to approach this tricky two tier green.